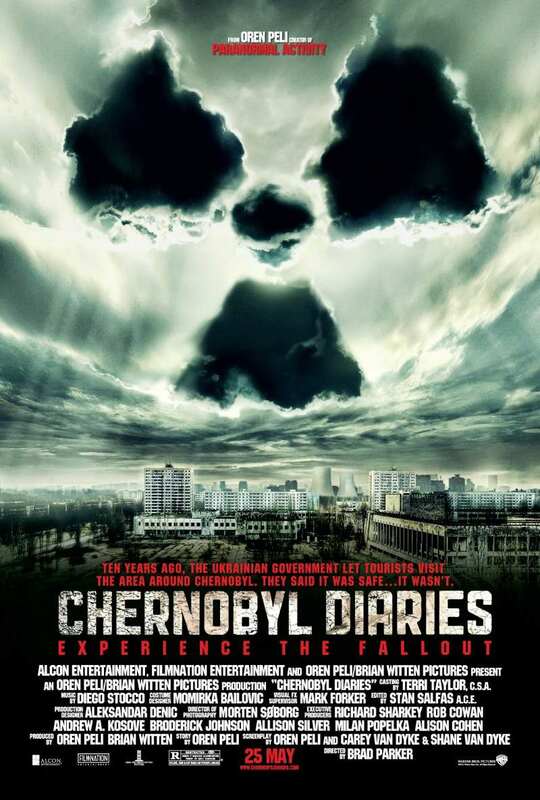 "Chernobyl Diaroes" was a film I was very excited for since the news broke out about it, I've always loved these urban type films so it was no surprise. Yet all my excitement slowly drifted as each minute went on. The film was directed by first-timer Bradley Parker and wrote by Oren Peli, who you may know as the guy who produces the “Paranormal Activity.” films. This should have set alarm bells ringing but it didn't, I think I was blinded by my excitement of the films high potential. It really aggravates me how often this happens, you get a film with such highly interesting premises then the delivery is just flat. I completely forgot that Oren Peli's work consists of the "it's what you don't see" factor and I'm all for that, I love that type of work but it doesn't always work out and can leave audiences frustrated and that's what we have here. I'm not saying I wanted mutated monsters appearing every other scene but we definitely need more action to keep us interested. Another problem is the characters, every single one is so disposable that you don't care if they die or not and you don't root for them when they're trying to escape. This is such a shame because the film uses a-lot of it's time character building, but with them all being so one dimensional it becomes very boring very quickly. When someone's injured, died, running for their lives you want to root for them, feel like your there with them, I didn't even shrug when someone was caught up in these scenarios. My biggest problem was the camera work, I'd love to know if they've ever heard of a steadicam, my guess would be no because the film is shot like a found footage movie even though it's not. Now if it was a Found Footage film it wouldn't bother me, you prepare yourself for that, it has an excuse but when it isn't it becomes very irritating. Maybe they were going for a gritty feel, if that's the case it didn't work. Ultimately "Chernobyl Diaries" was a great idea that was very poorly executed, it's no surprise it was never screened for critics before it's release. Ultimately it fails to deliver, it's worth a one time watch if you can't think of anything else to watch but nothing more. It's also worth noting that a lot of people were offended by the film-maker's decision to exploit such a huge tragedy and turn it into the breeding ground for a story about evil, flesh hungry mutants, in the end that's up-to you how you feel about it.